If the best thing to come from the burning of sticks is the bonfire, this is a close second. 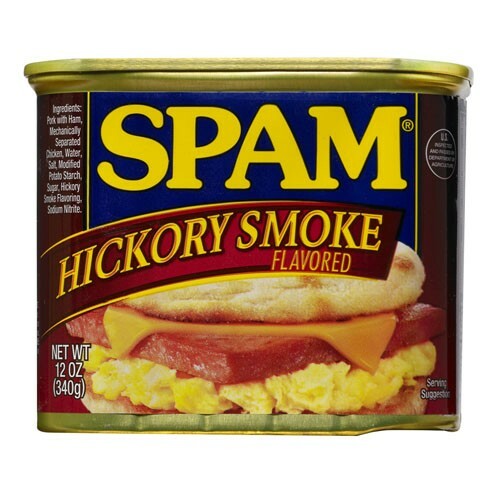 We took the great taste of SPAM® Classic and gave it a real hickory smoke flavor. So you can enjoy delicious smoked taste anytime without smelling like a campsite. 12 OZ CAN *ADDITIONAL SHIPPING CHARGES WILL BE ADDED ON ANY FLAVOR. **CANNOT SHIP THIS PRODUCT OUTSIDE OF THE UNITED STATES.